Originally from Australia, I completed my undergraduate degree in Psychology in 1992. Upon graduation I worked for the Department of Corrective Services as a Specialist Educator and Trainer. I then moved to various Sydney Area Health Service positions, again working in the field of Training and Research. In 1995, I relocated to London where I began working as a Research Fellow for the University of Portsmouth. After two years, I completed additional training in Applied Behaviour Analysis and began working as a Behavioural Therapist. I soon moved into Supervisory and eventually Consultancy positions within this field. I worked primarily as a Special Education Needs and Behavioural Consultant until 2005. During this time, I completed my PhD in Psychology specialising in Autism Spectrum Disorder. In 2005, I began working at City University London as a Lecturer and later, Senior Lecturer in Psychology. Whilst at City University London, I held several positions including Professional Components Co-ordinator and Co-Director of the Doctorate in Counselling Psychology, BSc Psychology Director, and Research Supervisor. In addition, during my time at City, I developed, managed and taught on my own programme - Graduate Diploma in Specialist Educational Intervention. During my time at City, I continued to provide private training and consultancy in the field of special needs, challenging behaviour and Makaton. In addition, in 2008, I completed training in Psychological Coaching. Since then, I have been providing Coaching to parents of children with special needs and/or challenging behaviour. 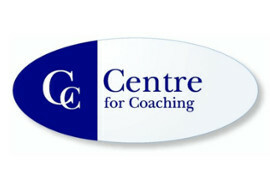 In 2010, I decided to once again focus predominantly on private training, consultancy and coaching. I also write an expert column for Aukids - Positive Parenting for Kids with Autism Spectrum Conditions (www.aukids.co.uk) and am a regular contributor to SEN Magazine (www.senmagazine.co.uk). I am also a Regional Tutor for The Makaton Charity. Recently, I have transferred and combined my knowledge of Executive Functioning and Coaching to work with young people as an Executive Function Coach and Consultant in London and the UK. I work as a Coach both privately and with Connections in Mind.